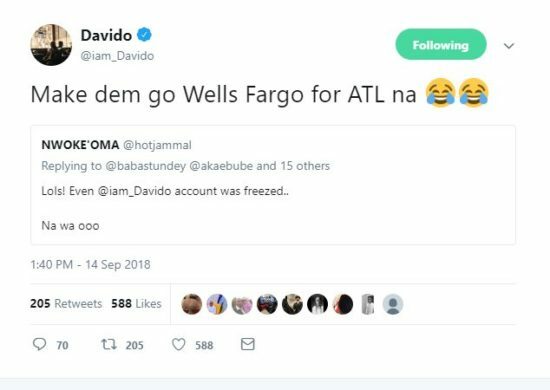 EFCC Allegedly Freezes Davido’s Bank Account; He Reacts! BREAKING: EFCC Allegedly Freezes Davido’s Bank Account; He Reacts! 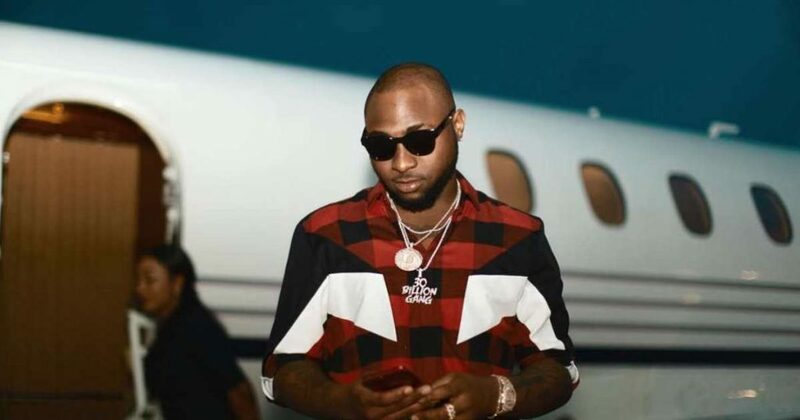 The Economic and Financial Crimes Commission (EFCC) has reportedly frozen the account of musician David Adeleke also known as Davido. Davido is scheduled to appear in all Peoples Democratic Party (PDP) campaign for the Osun Governorship election. Senator Ademola Adeleke, Davido’s uncle, his contesting for the seat under the PDP. 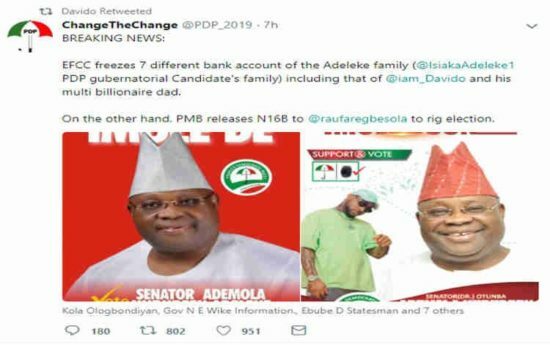 In a tweet by @PDP_2019, and shared by Davido, the anti-graft agency froze seven bank account of the Adeleke family.